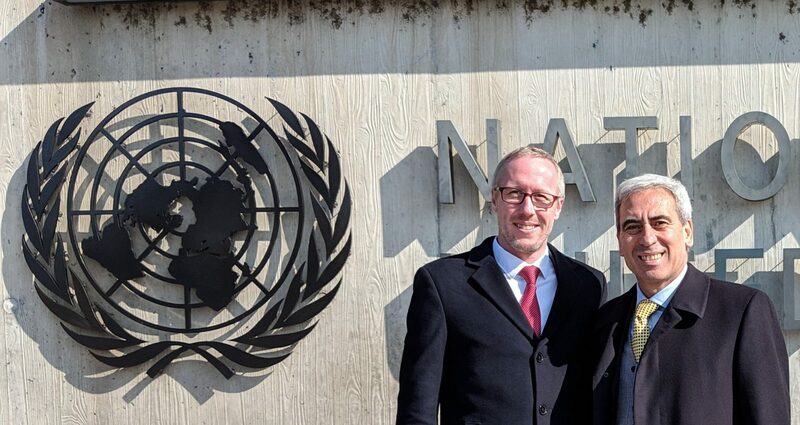 GAISF leader Raffaele Chiulli and Director Philippe Gueisbuhler attended the extraordinary session of the Intergovernmental Committee for Physical Education and Sport (CIGEPS) this week, where the group focused on the subject of using sport as a tool for development and peace. Hosted over two days by the United Nations (UN) in Geneva, one of the key topics discussed was the increased engagement of Member States in its development initiatives, as well as strengthening the UN’s own support systems, which included examining global policy and the action plans surrounding existing policy. CIGEPS was established in 1978 to promote the role and value of sport and its inclusion in public policy. The meeting brought together a number of expert representatives in the field of physical education and sport from 18 UNESCO Member States. The Permanent Consultative Council (PCC), comprising key sport federations, UN agencies and Non-Governmental Organisations, provides technical support and advice to the Committee. As an extension of UNESCO, CIGEPS’ purpose is to push for increased government action in the field of sport and physical education, resulting in effective implementation of policies and programmes around the world. With a specific focus on engaging with governments, CIGEPS has the potential to bring Member States together and effectively coordinate international efforts. The Committee also reviewed the statutes of CIGEPS, as well as planning for implementation of the Kazan Action Plan, which was adopted by the Sixth International Conference of Ministers and Senior Officials Responsible for Physical Education and Sport (MINEPS) in 2017.